A day in the life of a small business owner is rarely boring. There’s never a shortage of work to do. There are some duties that you enjoy and others . . . well, there are other tasks that you’d rather put off. Too many hats, balls in the air, irons in the fire. Call it what you want, but most business owners and managers can’t get it all accomplished. Sometimes we lose perspective on what’s important and get bogged down in the detail. Did you ever wish that you could get an outside perspective on your business? Sure there are consultants out there, but there’s a lot of hype that comes along with the package. You’d like to find someone to help with practical solutions. Jim Maddox, owner of Sphinx Business Solutions, has over 30 years of experience in operations management for both large and small businesses. A graduate of Georgia Institute of Technology, Jim began his career as an industrial engineer for Atlanta Gas Light Company. He began his career with involvement in what became the first billion dollar industrial development in Georgia, the construction of a new paper mill for Fort Howard Paper Company in Effingham County. In the late 1980s, Jim moved to an operations management position for Walthall Oil Company, based in Macon, later becoming a Vice President with the company. He acquired computer skills first hand with Walthall, implementing new accounting and operations systems as the company acquired other firms. This new knowledge propelled him into another series of positions with ComputerLogic, then the leading provider of automation and management software for automotive body shops. 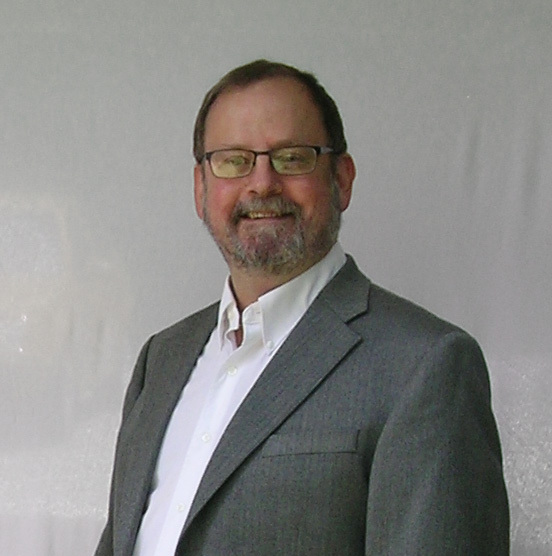 For several years, Jim provided consulting, training, and help with systems implementation for body shops across the U.S. 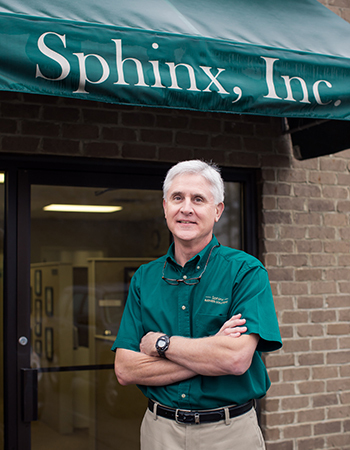 In 1997, Maddox made the transition to small business ownership with the purchase of Sphinx, Inc., then a fledgling printing company serving the Middle Georgia market. He has successfully guided the company, now Sphinx Business Solutions, for 18 years, transitioning the business from conventional offset printing to a broad range of services for business. Jim brings a wealth of operational knowledge to the consulting side of Sphinx Business Solutions' activity. He has an innate ability to analyze the details of operational and production workflows to identify bottlenecks and opportunities for streamlining processes. His training and experience allows him to focus on efficiency and cost effectiveness, providing clients with measurable opportunities to improve the operational aspects of their businesses. Freddy Hall brings over 40 years of business development and management experience to the Sphinx Consulting group. A U.S. Army veteran, he began his civilian career with a series of sales and management positions in the automotive industry, starting with Sears and continuing in retail management positions for several years. Hall also continued his studies, earning an MBA from Georgia College and State University in 1980. In 1989, Hall joined ComputerLogic, a Middle Georgia based developer of software solutions for the automotive body shop segment. He ultimately assumed responsibility for all of the business development activities of the company, managing over 5,000 installations in 23 countries. Hall was directly responsible for many of their strategic relationships, major accounts, and the development and management of international distributors for ComputerLogic’s software systems. Moving to Black Book, a division of Hearst Business Media, in 2000, Hall served for 14 years as Director in a number of Sales and Business Development positions. For many years he was responsible for supervision of the sales and sales management organizations, and worked with the management team to guide the company’s transition from print to online resources for their automotive dealership client base. At Black Book, Hall was directly involved with new product evaluations and implementations, and with the company's marketing initiatives. Semi-retiring from Black Book in 2014, Hall formed a new consulting venture, Develop More Business, LLC, and quickly allied with Sphinx Business Solutions to build sales and develop new areas of opportunity for the company. Hall has a solid understanding of business development that goes beyond short-term increases in sales. The diversity of his experience has provided a wealth of knowledge that can be valuable for many types and sizes of business. His focus is on development of processes that provide solid foundations for long-term growth. Richard Dannenberg has a broad career background that includes sales, marketing, business management and entrepreneurship. He began his career in operations for Mellco, a $50 million building products distributor based in Georgia, later moving into sales, sales management, and marketing management for the company. 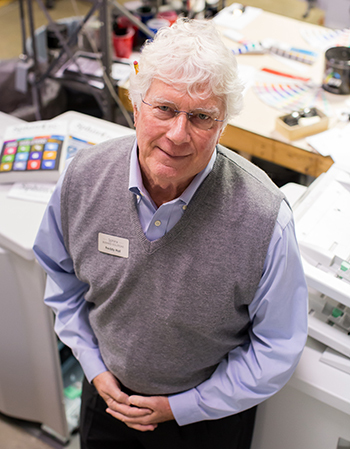 In the late 1990s he started an Alphagraphics franchise operation in Macon, GA and operated a successful printing business for 14 years, expanding the business from offset to digital print and adding wide format and marketing services into the mix. With the sale of the printing business In 2012, Dannenberg planned a new career as a highly paid executive with a corporate jet, but found an alarming lack of opportunity near his home in rural Georgia. Instead, he started another entrepreneurial venture, DP Marketing Services, providing marketing consulting services and project implementation for small businesses. Dannenberg has direct experience with the challenges of change management, including the necessity of adapting sales and marketing processes to buyer behavior in the digital economy. His areas of specialty include business and marketing planning, marketing strategies and program implementation.